So excited for today's Introduction as it's one of those sets that are super duper fun and cute! Say hello to Big News! 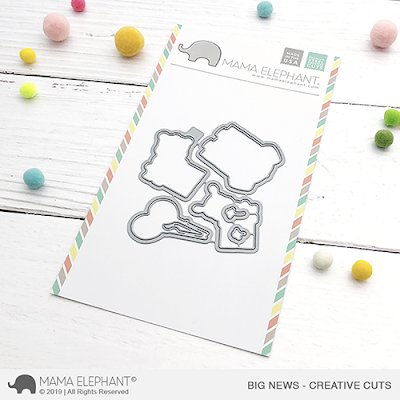 Big News features the elephant, bear from Stackable Cuties -- and a new friend, the bunny! We love using the same characters to give you more versatility to mix and match older sets to create something truly unique! Big News is very much along the same lines of Three Amigos (which by the way, yall went wild over as it was the first of its kind)! 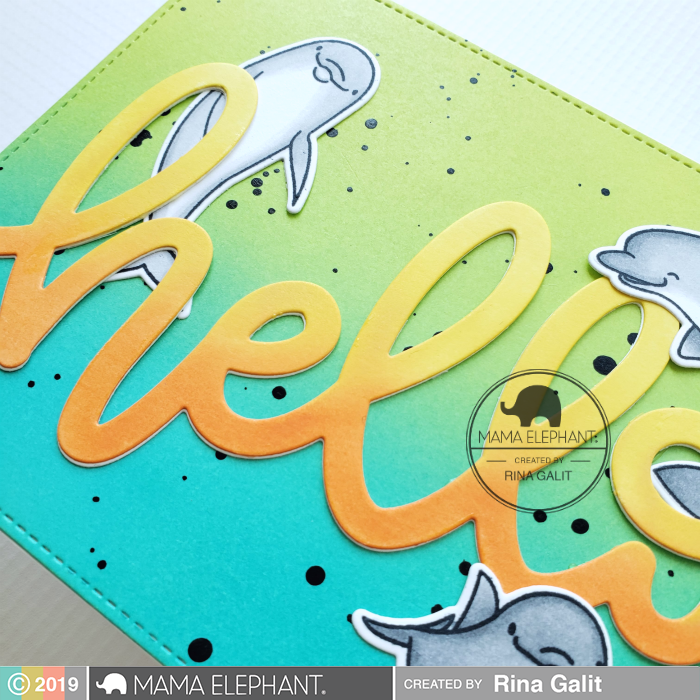 Well, here is the 2019 version which i hope you love as there are a ton of sentiments perfect for any occasion! I'm also introducing one of my favorite designs in this release, and I'm particularly partial since I hand-lettered it, haha. 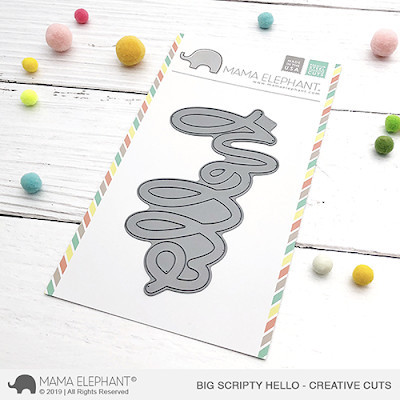 Say hello to Big Script Hello! This is larger than our other word dies so it's perfect as a chic and bold focal sentiment on its own! But I'm sure you'll do wonders with this! 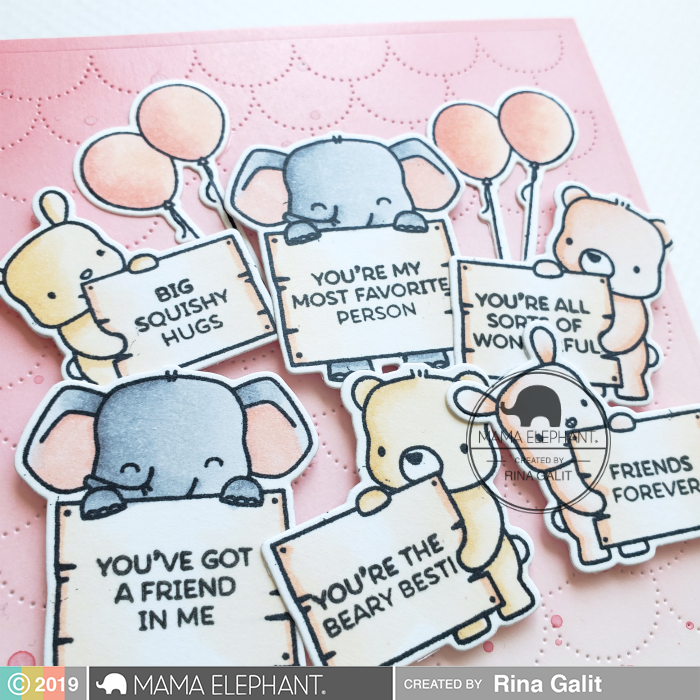 Rina prepared some beautiful cards t o showcase the new products and I have to say that I'm totally in love with them! This card! Wow! This card made me fall off my chair! 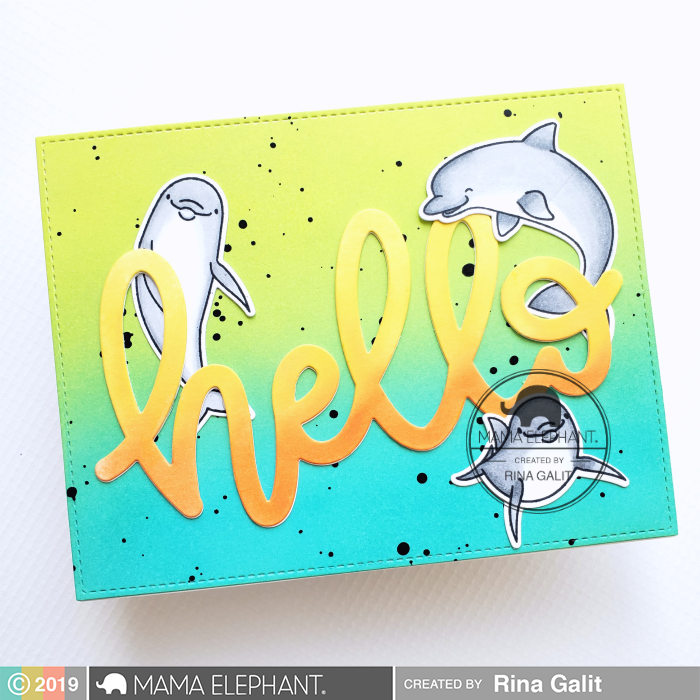 And how fun is this one with the vibrant colors that evoke tropical feels! So beautiful! HOW ADORABLE!!!! Loving these beautiful projects AND the beautiful products!! WOW! I just love "Big News". 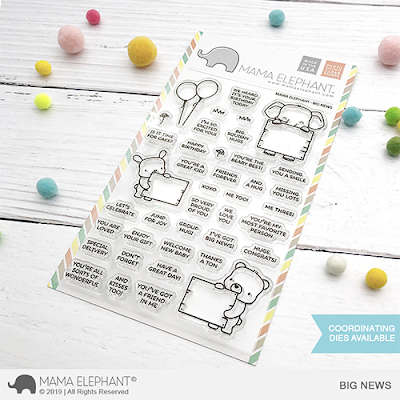 The card sample is adorable. Oh, I love how the adorable animals are carrying various signs!!!!!!!! !